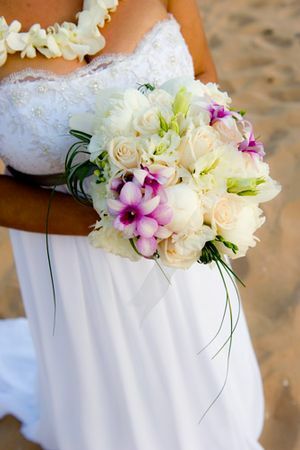 We offer bouquets with most of our wedding packages but you can always order one with a package that doesn't include one or order some bridesmaids bouquets for your girls. The french hand tied style is the most popular of the bunch. 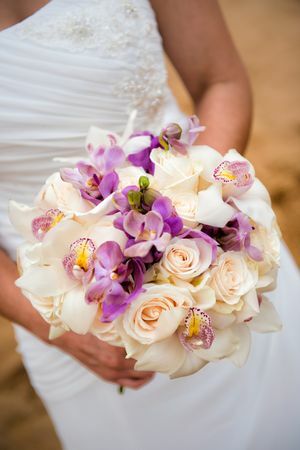 We offer our brides a choice of 3 colors for their bouquet upon booking one of our packages. 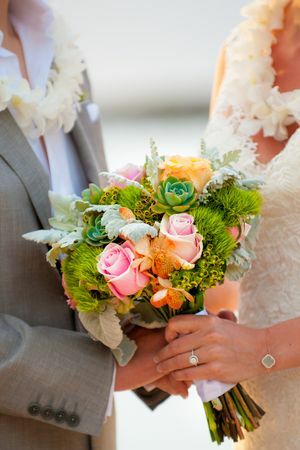 If you like one of the bouquet images posted below just let us know and we'll forward it on to our floral designer for replication. 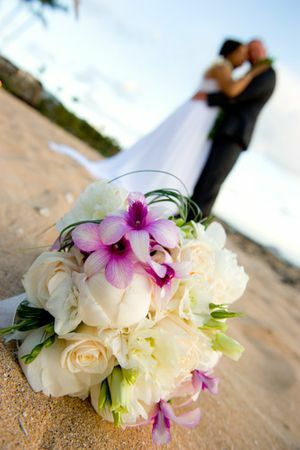 The bouquet gallery below are floral designs by the professional floral designer we contract with on a regular basis. 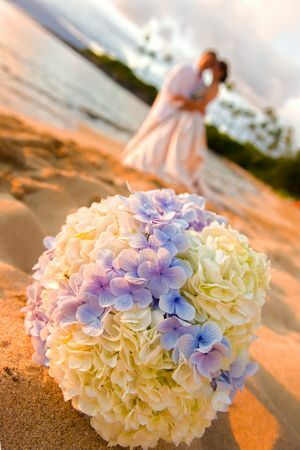 These are a favorite of our brides. They are bunched flowers with the stems cut short and are complimented with a tulle or satin ribbon. This style is often featured with models in most bridal magazines when advertising bridal gowns. Some specific flower combinations may incur additional fees. Please call for quote. Starting at $140.00 & up... Please call for quote. 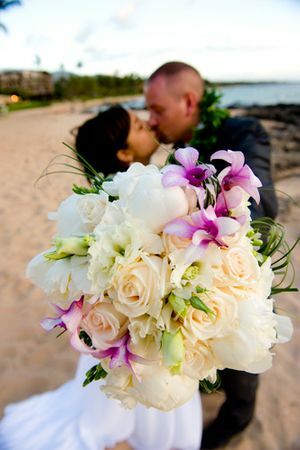 All of our Bouquets are custom made by one of Maui's top floral designers. We value your input and encourage you to give us a feel for what inspires you in a bouquet. Since flowers vary in color and availability we may not be able to match your design precisely but we are sure you will love the design our professional creates just for you!